The preliminary building plans for the La Harpe Elementary and Junior High were revealed on Tuesday, March 19th at a public hearing. The architectural group, J.H. Petty and Associates out of Springfield was there to field questions and show how the site could look. 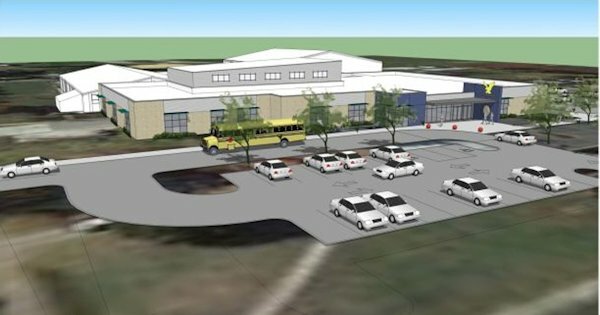 Phase II will begin with the demolition of the cafeteria, central offices, pre-school building and the Johnson building. D street, that currently runs between the existing buildings, will be vacated to allow for the construction to be done. The La Harpe District is on the Capital Development Board funding list for 2005. The state is currently working on projects approved in 2003 and 2004. Since they don't know when they will get the funding, they cannot say when construction will begin. The estimated total cost of the project is $11,566,720.